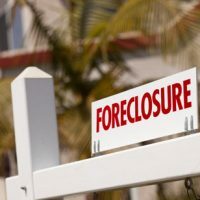 What Happens When You Inherit Property That’s Being Foreclosed Upon? When a loved one passes away, often what is left to inherit is the loved one’s home. That home may have extraordinary sentimental value. Or, it may be where you are currently living, or where other family members are living. But what happens when that property has a mortgage on it? And what happens when the mortgage isn’t paid? There are three circumstances where people inherit homes with unpaid mortgages. The first is where the deceased was not paying the mortgage even before death; that is, they passed away with a mortgage already in default. This is the hardest situation to deal with. The second and more common scenario is where someone is current with mortgage payments, but due to the death the payments are not made. Good estate planning and the use of trusts can avoid this problem by making sure that there is someone to make the payments out of any proceeds of the estate. Still, if the loved one was making payments out of their income, and there are not enough estate assets to allow relatives to continue the payments, the property may still be lost as the payments aren’t made. The last scenario has to do with reverse mortgages. A reverse mortgage allows an elderly individual to receive payments from the equity of a home. Many elderly individuals utilize reverse mortgages, unaware that relatives may not have the property to inherit after death. After death, the bank then can collect from proceeds of the estate, or foreclose on the property. There are limited rights for those who inherit property that is the subject of a foreclosure. Some courts have allowed those who inherit to defend a foreclosure action in court. However, that law is not completely set, and even if relatives were allowed to defend property, they would still only have whatever defenses the borrower herself would have had. Being a beneficiary who inherited property doesn’t constitute a defense to a foreclosure. Additionally, defending a foreclosure doesn’t mean the bank will negotiate with the beneficiaries. Therein lies the bigger problem—relatives who want to negotiate with the bank often can’t even get basic loan information. Banks will refuse to deal with relatives given that they are not the borrower on the loan documents. Unfortunately, banks may not give any weight to traditional estate documents, such as a will or estate plan, that provide authorization to a relative to negotiate with the bank. One workaround may be to have the borrower provide the bank an express consent to communicate with relatives and provide them loan information. Most banks have their own authorization forms that can be obtained and filled out. Plan now to protect inheritances and to make sure estate assets are safe. Contact Tampa business attorney David Toback to discuss a comprehensive will and estate plan for your family.